There is no better way to describe Xiaomi’s latest flagship smartphone but an absolute monster. The new Xiaomi Mi 9 promises more than 40 percent greater performance than its predecessor, and it did deliver. Currently priced in Singapore at $699, the glossy Mi 9 can undoubtedly compete with Apple and Samsung’s highly expensive premium mobile phones at only half their price. Having a Xiaomi Mi 9 in the palm of your hand feels like holding a thousand-dollar smartphone. Its sleek, curvy, and glossy design gives it an air of sophistication that one only gets when holding a pricey mobile device. The Mi 9’s rear panel is noticeably curved right around the chassis which augments its holding comfortability. The phone is available in four colors – black, blue, lavender, and a transparent finish. However, Xiaomi added a holographic touch to the phone colors which made them look attractive and funky. The Mi 9 is impressively slim but is supported by a metal frame covered in glass which makes it quite heavy. It sports a massive 6.39-inch AMOLED screen and boasts of 90.7 percent screen-to-body ratio. For a closer look at the Mi 9’s display panel, the designers really did a great job. The screen is flat and without the slightest sign of any curve, making every inch of the screen usable. And, to make sure that you get the most out of the phone’s 6.39-inch AMOLED screen, the Xiaomi Mi 9 sports a dew drop notch at the top of the screen. This reduced the front camera’s space on the display panel to a small pimple-sized hole. With the punch-hole notch design, you only get one camera in front. 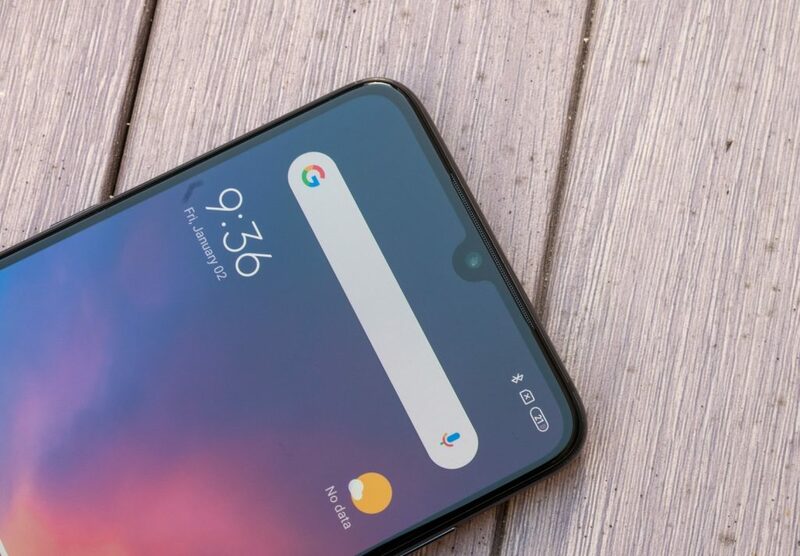 Plus, you will also notice that the Mi 9’s speaker grills and USB-C port are both located on the bottom edge of the phone against its frame and off the display panel. There’s a separate Google Assistant button on the left side of the phone which pretty much comes in handy if you don’t want to say the usual “hey Google” command. 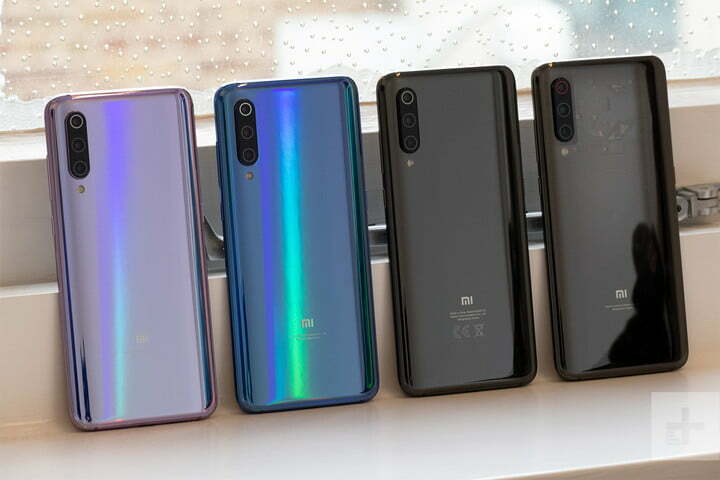 Unfortunately, Xiaomi Mi 9 only supports FHD+ and not the typical Quad HD+ which is popular among smartphones today. But the difference is not noticeable at all, so we don’t see this as an issue. The phone’s front panel is protected by Gorilla Glass 6 while the back panel is covered in Gorilla Glass 5. While the all-glass design makes Mi 9 look elegant, it also makes it slippery, so you better hold on to it tightly. Performance-wise, the Xiaomi Mi 9 didn’t shy away from its rivals. Xiaomi claims that Mi 9 has the fastest wireless charging capability in any smartphone today. The phone’s charger is allegedly equipped with a proprietary technology that can pump 20 watts of power into Mi 9’s 3300mAh battery. When wirelessly charged, it only takes about an hour and a half for Mi 9’s battery to be fully charged. However, when charged through its USB-C port, the phone can be fully charged within an hour. Unfortunately, the wireless charger doesn’t come with the package, so you need to purchase it separately. 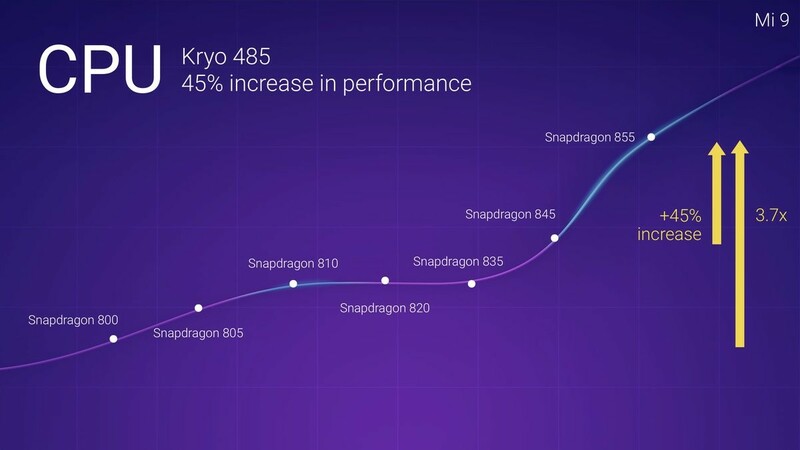 Mi 9 is also fast because it houses Qualcomm’s latest and fastest processor chip to date, the Snapdragon 855. That coupled with 6GB or 8GB of RAM will give you a real monster device in your hand. During the test, the phone surpassed all expectations by performing exceptionally well. You can switch between applications without experiencing any lagging, overheating, or slowing down. When tried with Mobile Legends Bang Bang, the Mi 9 passed without a sweat. The game loaded fast, and all the control were responsive. Add to that the game visual’s high-resolution and bright colors which made the experience really enjoyable. The Mi 9 may not have the best display, but it still manages to impress. Now, moving onto the Mi 9’s cameras, Xiaomi claims it is the first in their long line of smartphones to feature a triple camera system. To showcase the array, the phone maker has chosen the Sony IMX586 sensor coupled with a 48-megapixel camera, a 16-megapixel ultra-wide lens with a 117-degree viewing angle, and a 12-megapixel telephoto lens. By default, the 48-megapixel camera has to be activated through the phone’s Setting before you can use it. 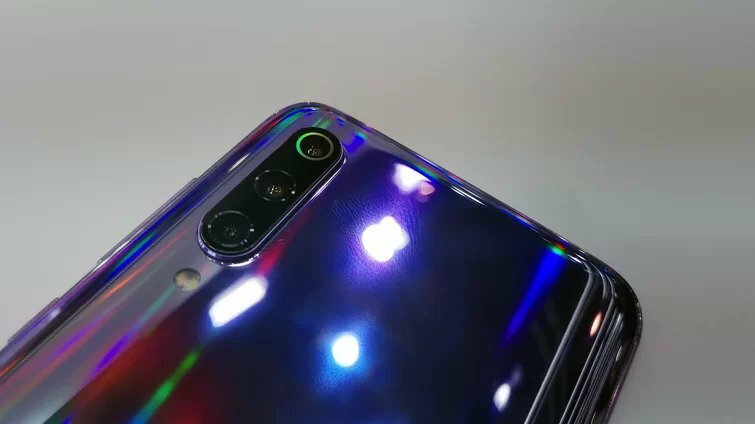 If not in used, Mi 9 will revert to its 12-megapixel standard camera immediately which could potentially confused people into thinking they’re shooting photos in full resolution. According to Xiaomi, this setup was designed because the 48-megapixel camera is only good for shooting scenes with good lighting. The Mi 9’s camera system also boasts of pixel binning technology that draws light when using the standard camera. It also features an artificially intelligent night mode that helps expose more details when shooting in low-light without sacrificing the quality of the image. 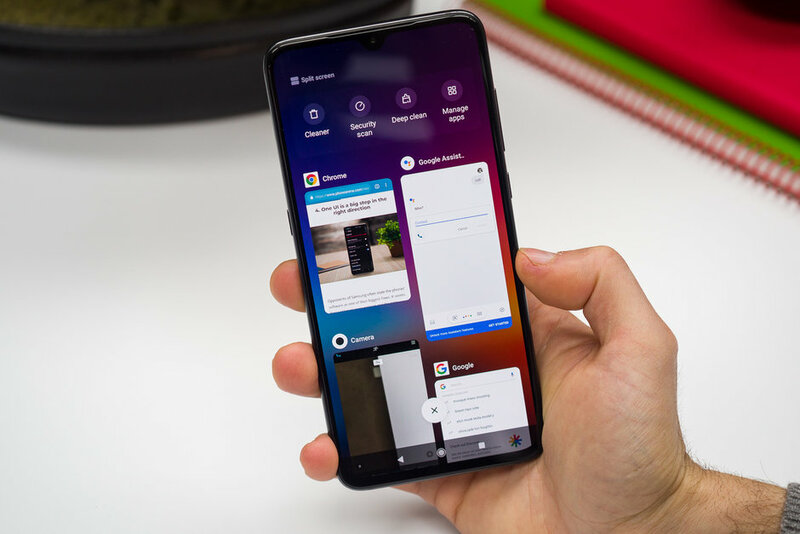 Xiaomi Mi 9 runs on Android 9.0 Pie and uses the brand’s very own MIUI 10 user interface. The software contributes significantly to the phone’s speedy performance, transitions, and fun animations while maintaining a minimalist look and well-designed app icons. Unfortunately, there is no app drawer option available which means all the applications are in one screen only. There is also a pack of Xiaomi and Google apps pre-installed in the phone like the browser, calculator, Mi Drop, Play Store, Maps, and others. The MIUI 10 also allows users to use a dark mode feature which is rapidly becoming a norm today. Xiaomi may also need to work on the phone’s notification which is not that reliable. So far, the MIUI comes as Mi 9’s greatest weakness. Despite some apparent attempts to compete with other popular brands today, there’s still a lot that Xiaomi has to work on its device. But, don’t let the software discourage you because Mi 9 remains to be a great phone overall. The Mi 9’s security feature comes with the usual pattern and PIN login options together with an in-screen fingerprint sensor. While the fingerprint sensor is not as responsive, it is still an in-demand security option as compared to the Face ID. We definitely like the elegant look and polished feel of the phone. The screen quality is superb, and the triple camera system is highly impressive. The battery delivers what is expected while its security feature also didn’t back down from what Mi 9’s competitors have to offer. Overall, the Xiaomi Mi 9 is the best option for people looking for a smartphone with a premium look and performance at an affordable price.